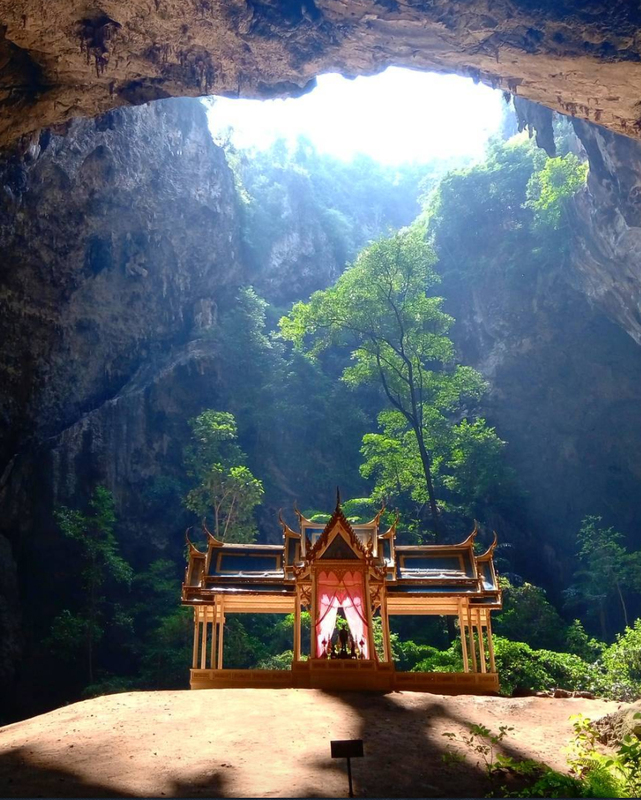 Thailand is home to some exquisite cave temples and the Tham Khao Luang is at the top of the list. It was converted into a temple by King Rama V, to honour his predecessors. 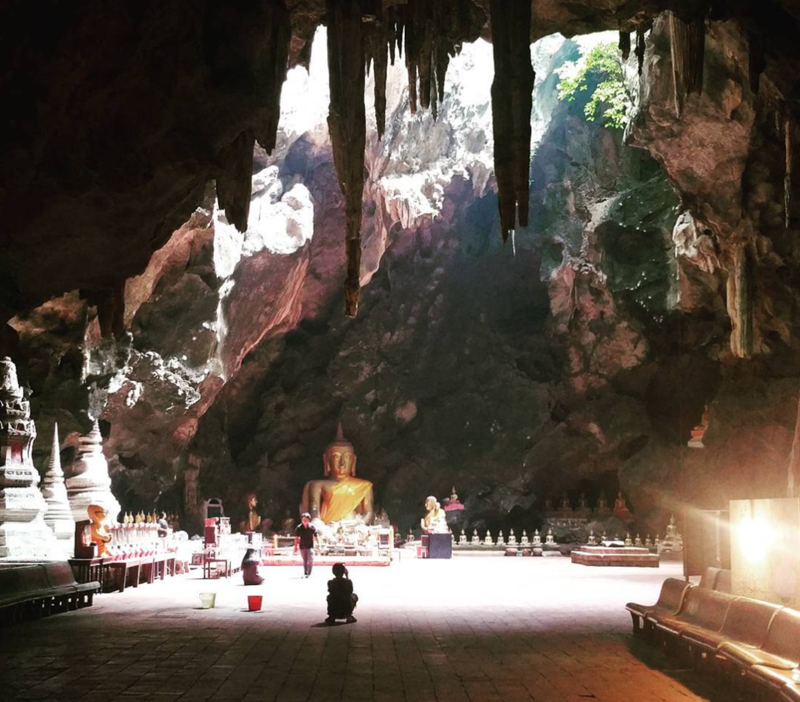 The highlight of the cave is the 13 foot and 15 foot high buddha statues, each situated in individual chambers within the cave. It is located close to a tourist town and is accessible, but prepare yourself for a short hike. 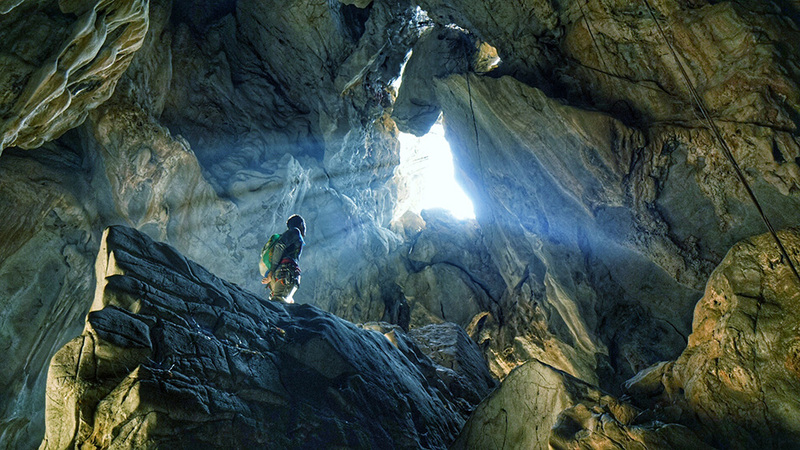 Caves like this one are not simply archaeological sites but active places of pilgrimage. So be sure to respect the sanctity of the cave. 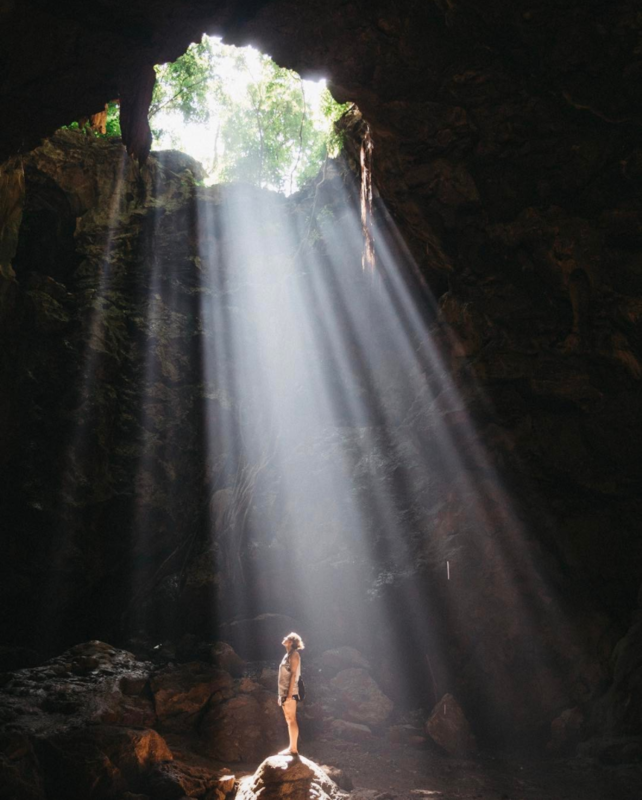 This cave doesn’t feature the most extensive caving experience, but it is beyond beautiful. 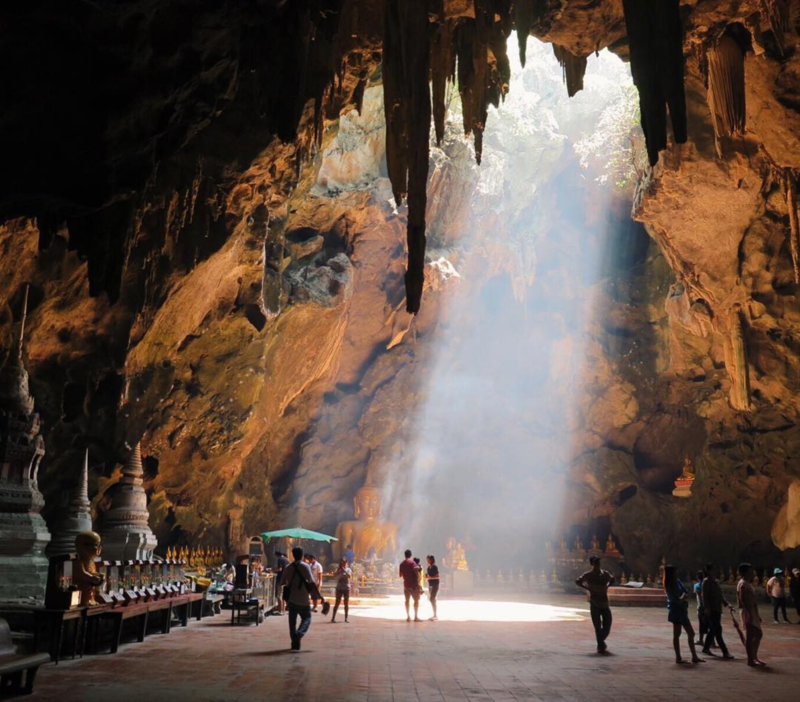 Located in the Khao Sam Roi Yot National Park, the cave is accessible from the Hat Lame Sala beach. The cave has 2 chambers, naturally lit, and in one of these chambers is the Kuha Karuhas pavilion — dedicated to a 19th century king. The Crazy Horse Cave is a great place to start your journey with caving. 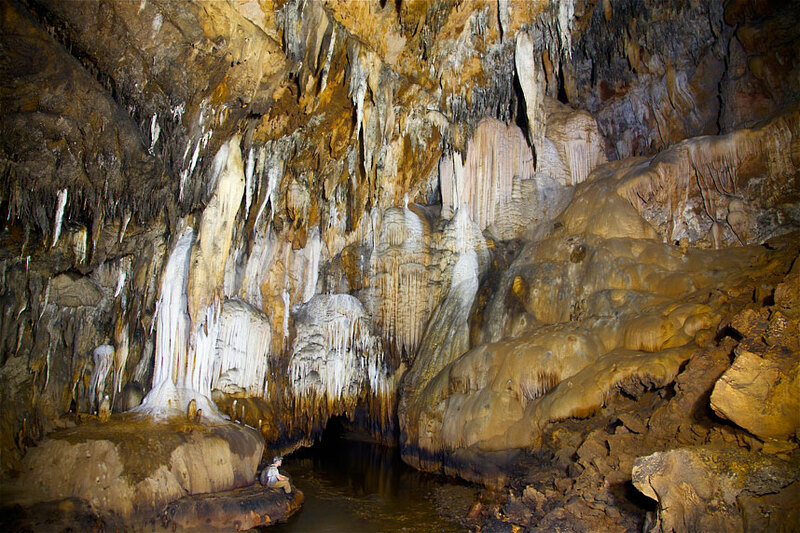 It’s a live cave that features Stalactite and Stalagmite formations in addition to a whole range of other flora and fauna. Bats and crickets are constant companions on your expedition through this cave. You will be given a quick training session, and then you are guided through by caving experts. The adventure companies in the region are fully equipped, but make sure you carry your essentials. Caves like this one are sites of archaeological interest because of the teakwood coffins carved by the Lawa people, left behind thousands of years ago. 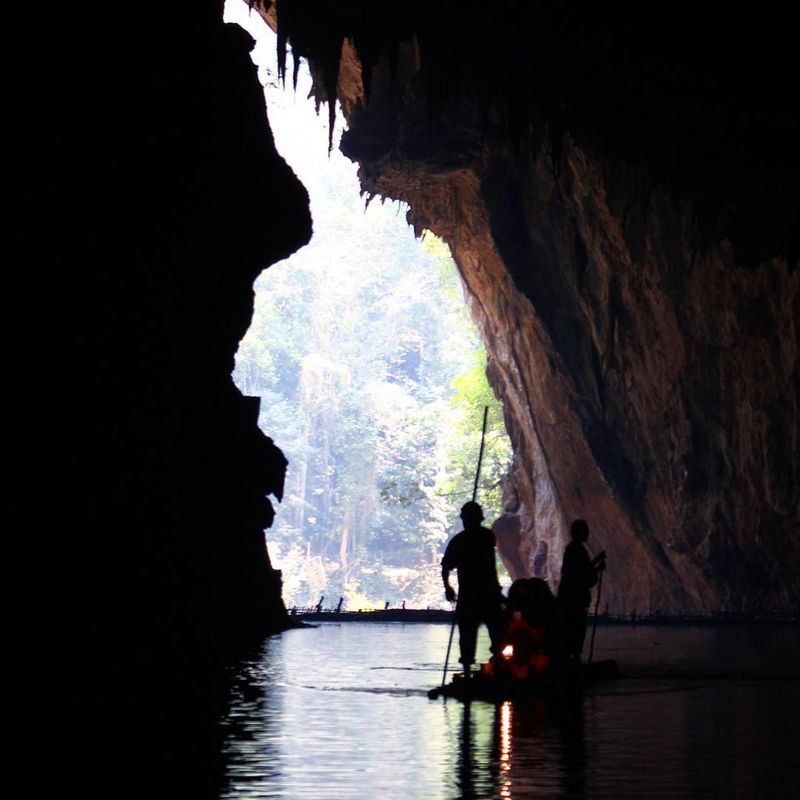 The Nam Lang river flows through this cave and one navigates part of it on a two-person canoe. The rest of the cave system, especially the coffin cave, is to be traversed on foot. 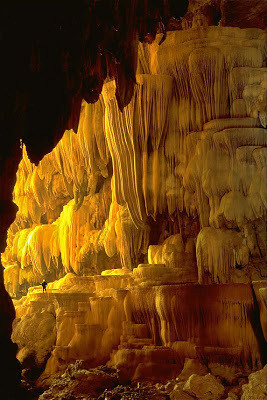 Housing the world’s tallest cave column(standing at an impressive 62 metres), the Snake Mountain Cave, is known for the distinctive orange colour of the stalactites that descend from the cave ceiling. 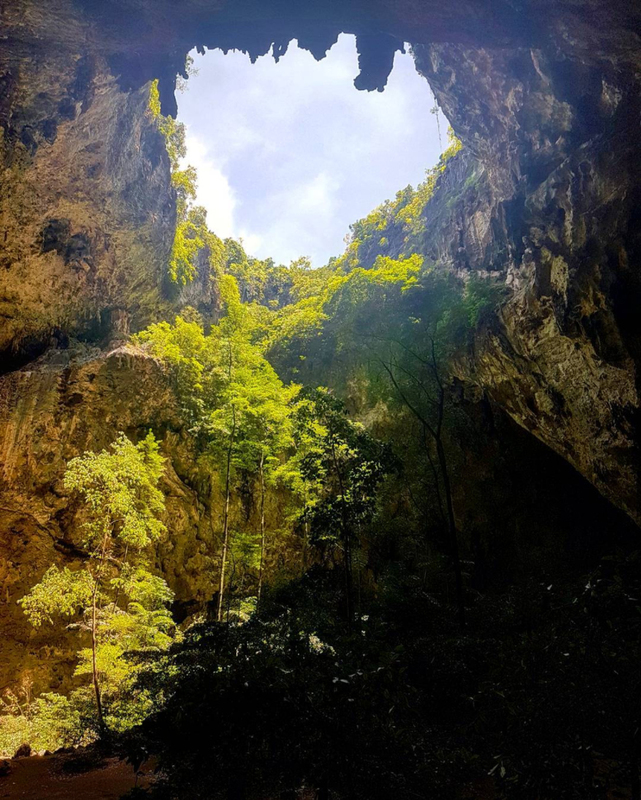 Embedded in a Karst Plateau, this cave and the system it belongs to extends from Mae Nam Lang river to the Mae Nam Pai river.It features a spring, near the mouth of the cave, that is the source of a stream. This steam has created a delta in the limestone almost 300m wide and the cave system even features waterfalls. This is an expert level cave, and is open exclusively to adventurers. 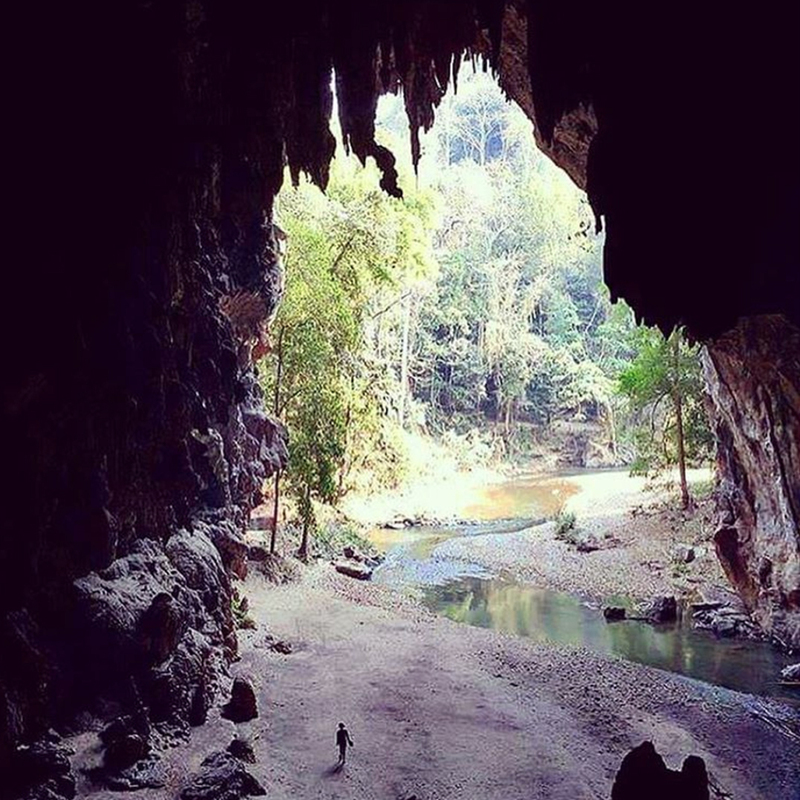 At 12 km long, this cave is one of the longest navigable caves in Thailand. 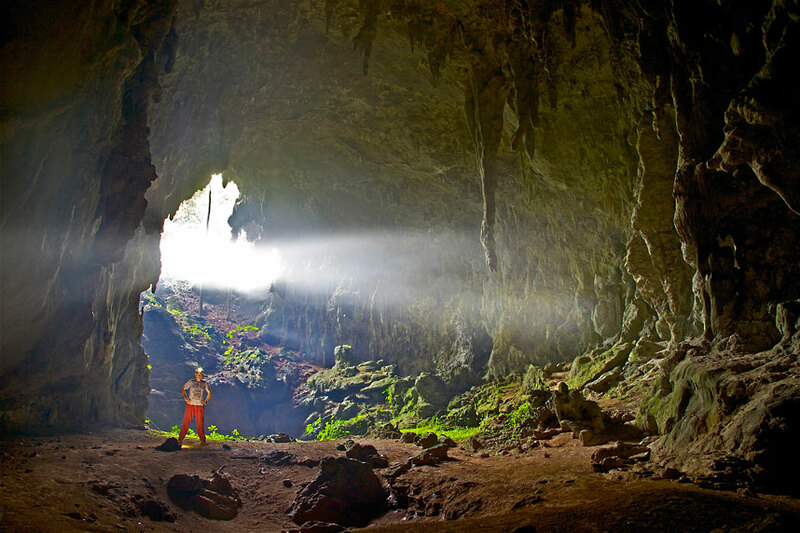 Mae Hong Son province features a number of cave experiences for the novice caver, but the Mae Lana cave is not one of them. This cave is best explored with a guide, and its location requires a logistical work-about or two. It also features a river system that is navigable on bamboo rafts. The caves listed above all along a gradient of ‘tourist’ to ‘expert’, a few are inaccessible to members of the general public beyond a certain point while others are open access — provided you pay a small entrance fee. However, if you are serious about caving and would like to make a dent, head straight to the Cave Lodge in Sop Pong. Run by John Spies, an Australian cave photographer, Cave Lodge is situated near over 200 limestone caves. You will be provided with accommodation, equipment and guidance from expert cavers. Hey There. I found your blog using msn. This is an extremely neatly written article. I will make sure to bookmark it and return to read extra of your helpful info. Thank you for the post. I’ll certainly comeback. It is actually a great and helpful piece of info. I am satisfied that you just shared this helpful information with us. Please stay us up to date like this. Thanks for sharing. I really like what you guys tend to be up too. Such clever work and reporting! Keep up the fantastic works guys I’ve incorporated you guys to my blogroll. These are actually impressive ideas in on the topic of blogging. You have touched some nice factors here. Any way keep up wrinting. It’s a shame you don’t have a donate button! I’d certainly donate to this brilliant blog! I suppose for now i’ll settle for bookmarking and adding your RSS feed to my Google account. I look forward to new updates and will share this blog with my Facebook group. Chat soon! I just want to tell you that I am just new to blogs and seriously savored you’re page. More than likely I’m want to bookmark your site . You definitely come with tremendous articles and reviews. Appreciate it for sharing your web page. are discussing over the internet. You actually understand how to bring an issue to light and make it important. I just want to say I am very new to blogging and seriously savored your web blog. Almost certainly I’m planning to bookmark your blog post . You actually have outstanding writings. Thanks a lot for revealing your web page. Just desire to say your article is as astonishing. The clarity in your post is just cool and i can assume you are an expert on this subject. Fine with your permission allow me to grab your feed to keep updated with forthcoming post. Thanks a million and please continue the rewarding work.